WEEDSPORT, NY (January 2, 2017) – As the calendar turns to 2017, the Weedsport Speedway announces the first ever Ultimate Wingless Shootout! 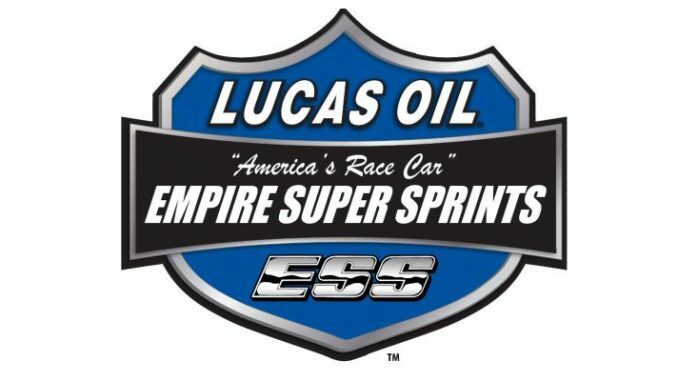 A $5,000 to win wingless event for 360 sprint cars from the Lucas Oil Empire Super Sprints (ESS) and the United Racing Club (URC). The stage will be set on Sunday, June 25th, as the best 360 Sprint racers in the Northeast will go outside the box vying for a chance to be the first Wingless Shootout Champion. Weedsport’s Sportsman Shootout Series competitors will join the wingless warriors making for an exciting 1-2 punch. The event will be open competition with any driver and 360 team invited to attend. Both ESS and URC have agreed to place on their schedules with ESS officials helping in organizing the affair. Weedsport Speedway has received a complete make over since Al Heinke has taken ownership. Upgrades to the facility include a state of the art LED lighting system and sound system, a huge jumbo tron with real time broadcasting, new concession areas, revamped pit area, all new grandstands and VIP towers, a new grand entrance, as well as a multi-groove racing surface. The Ultimate Wingless Shootout at Weedsport adds to an already exciting 2017 schedule, which includes Craftsman World of Outlaw Sprint Cars, Super DIRTcar Series big and small block modifieds, Empire Super Sprints, Sportsman Shootout Series, as well as DIRTcar Sportsman Series. Look for further information, including a full schedule release, in the coming weeks. Everyone from the Weedsport Speedway wishes all a very Happy New Year and for the latest up to date information on the upcoming 2017 season, please log on to www.weedsportspeedway.com or you can follow us on Facebook under Weedsport Speedway and on Twitter @WeedsportSpdwy.